Mid-Century Condiment Holders - Cal-Mil Plastic Products Inc.
Use the Mid-Century Condiment Holder to be perfectly organized. 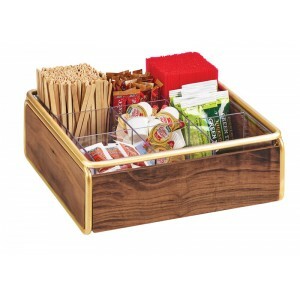 The plastic insert gives you plenty of options for how you want to organize your products. The warm walnut is visually appealing to add a different dynamic to any display.